You are a business owner and learn that one of your employees has assaulted someone—a customer, vendor, fellow employee, or even a random stranger—while on the job. Such a situation presents obvious business concerns. It also presents legal risk; even though the employee's actions were likely outside the course of his or her employment (and, therefore, unlikely to generate liability on a vicarious liability theory), you can be sued for negligence in supervising or hiring the employee who committed the assault. Fortunately, because you are a prudent business owner, you purchased general liability insurance, which of course is supposed to generally protect you against harm you accidentally cause to others. You breathe a sigh of relief knowing that you are covered, because in the situation where an employer is sued for negligent supervision or hiring of an employee who commits an assault, it is safe to say that that employer is being sued for something it not only did not intend, but was likely horrified to learn occurred. Until two weeks ago, your assumption that you would be covered for this would be on firm legal footing. Just a little less than 20 years ago, the Wisconsin Supreme Court ruled in Doyle v. Engelke, 219 Wis.2d 277, 580 N.W.2d 245 (1998) that a standard commercial general liability (CGL) policy covered employers whose negligence in hiring or supervising an employee led to an intentionally caused injury by that employee. 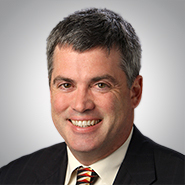 Unfortunately for business owners and employers, in the recent decision of Talley v. Mustafa, 2018 WI 47, Doyle has now been at least partially overruled, although certain anomalies in the procedural posture, and, arguably, the majority opinion itself—as pointed out in in two different dissents—make it difficult to gauge whether, and the extent to which, coverage may exist for negligent supervision stemming from the intentional act of an employee. The facts of the Talley case were fairly straightforward. Mustafa owned a convenience store. Scott sort of hung around the store and apparently performed some chores; there was a dispute as to whether he was actually an employee of Mustafa, though for purposes of the decision it was assumed that he was. There was no dispute that Scott intentionally punched Talley—a store customer—in the face and broke Talley’s jaw. Talley then sued Mustafa, the store owner, alleging, among other things, that Mustafa was negligent in supervising Scott and that this negligence led to the injury in question. Mustafa’s insurer, Auto-Owners Insurance Company, defended him under a reservation of rights and then challenged coverage. The trial court found no coverage on the grounds that Scott’s act in punching the customer in the face was intentional, barring coverage, even though the allegation against Mustafa was based purely on negligence in failing to properly supervise Scott. The Court of Appeals reversed, relying largely on Doyle. In a divided 4-3 decision that drew two vigorous dissents, the Supreme Court reversed the Court of Appeals. Writing for the majority, Justice Rebecca Bradley reasoned that coverage was barred due to the intentional conduct of Scott in punching Talley in the face, notwithstanding the allegation that it was Mustafa’s negligence in supervising Scott that led to that event. While the policy had an “intentional acts” exclusion, that exclusion was not the basis for the Court’s decision—understandably, since the exclusion was expressly framed to bar coverage only for bodily injury that was expected or intended from the standpoint of “the insured," i.e. Mustafa, making Scott’s intent irrelevant. Instead, the Court held that there was no “occurrence” triggering coverage, since "occurrence" was defined (in relevant part) as an “accident” and Scott’s act of punching Talley in the face was not an accident. The Court rejected the argument that Mustafa's alleged negligence in supervising Scott could supply the needed "occurrence" element, expressly overruling at least parts of Doyle. However, in doing so, the Court's analysis focused on the shortcomings of the complaint in properly alleging the underlying tort of negligent supervision, or any evidence supporting the claim aside from Talley's assertion that Mustafa "should have trained Scott not to hit people." Id. at ¶ 16. The Court noted that, other than this bare assertion, the record contained no explanation as to how Mustafa was negligent, or how that negligence contributed to Talley's injury. The Court went on to "hold that when a negligent supervision claim is based entirely on an allegation that an employer should have trained an employee not to intentionally punch a customer in the face, no coverage exists." Id. It is not clear if this holding was based on the lack of merit in the underlying theory of liability, or because negligent supervision or hiring that leads to commission of an intentional tort cannot, under any circumstances, give rise to an "occurrence" under the policy. There are at least two ways to read the majority opinion in Talley. One is to conclude that the majority was simply not prepared to allow insurance coverage for negligent supervision absent further details showing what the negligence was, or how it triggers coverage under the policy. Such an analysis represents a somewhat novel approach to addressing insurance coverage at the stage where there has not yet been a trial or proceeding on the merits. Because this was only a coverage motion Mustafa will potentially remain on the hook for any negligence that is later proven—the decision simply means that any such negligence will be uninsured. This disconnect between coverage and the merits drew a stiff rebuke from three dissenting justices. Justice Kelly noted the analytical flaw in this approach, lamenting that the majority opinion "foundered" in its confusion between the tasks at hand. By assessing the sufficiency of the complaint in alleging actionable negligence or evidence supporting it, the majority neglected its task in a coverage trial to assume the truth of the allegations of negligence, regardless of how little detail might be provided, and apply those allegations to the policy at issue. Id. at 64. Justice Ann Walsh Bradley similarly noted this confusion, stating that "[u]nder the guise of answering the coverage question, the majority instead scrutinizes the merits and perceived weakness of Talley's negligent supervision claim." Id. at ¶ 40. A second, and much more ominous reading of Talley for business owners (at least those who are not insurance companies) is that, regardless of how detailed a complaint might be, negligent supervision is never covered where the negligently supervised employee commits an intentional act. That would represent a wholesale overruling of Doyle. The decision is not clear if that, in fact, is now the law. The search for deep pockets and the law recognizing claims for negligent supervision and hiring combine to put employers squarely in the cross hairs of plaintiffs' lawyers when an employee commits an assault or other intentional tort while on the job. Now that Talley has curtailed coverage for those claims, at least in some fashion, what should employers do about it? For starters, talk to your broker about an endorsement that will undeniably cover the significant coverage gap that is potentially left by this decision. Claims based on employee misconduct present real risk. And in case you're wondering about Employment Practices Liability insurance, forget about it. Those policies are designed for liability risk for employee torts such as discrimination, wrongful discharge and other claims brought by aggrieved employees rather than torts brought by third parties based on an employer's failure to prevent a tortious act by its employees. Beyond this, if you find yourself in the unfortunate position of facing a negligent hire/supervision complaint based on an underlying intentional tort, there may be some workarounds with the Talley decision. As previously noted, the majority opinion took issue with the lack of any detail in the complaint as to how Mustafa was negligent. Its express repudiation of Doyle seemed in part driven merely by a concern that “[i]t is unclear from Doyle whether the plaintiff alleged specific separate acts of negligence by [the insured] that caused the plaintiff’s injuries beyond the general allegation of negligent supervision.” Talley, ¶ 20. This would suggest that the decision could be used as the basis for dismissal of a sparsely pleaded negligent supervision case on the merits or, at a minimum, a motion to make more definite. And if a complaint is already sufficiently definite, or detailed as to the employer's alleged negligence, then one could argue that Talley should not apply. The Court did in fact state that not all negligent supervision cases would be without coverage. Read narrowly, it could be construed as simply standing for the proposition that a bare-bones allegation of negligence would not be sufficient to trigger defense or coverage where there was nothing else to point to as the covered "accident." Left unaddressed was whether coverage might exist where further detail showing negligence was supplied. That construction of Talley could leave the door open for coverage even where the allegedly negligently-supervised employee committed an intentional act. While it may be a bit of an uphill battle, as insurers will argue that there is no longer coverage for negligent supervision leading to an intentional tort under any circumstances, employers will have the force of powerful logic in arguing to the contrary. 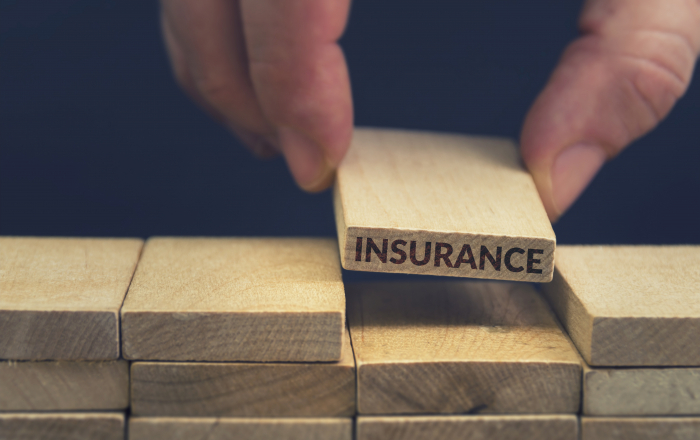 Whether negligent supervision is a covered "accident" can only turn on the state of mind of the insured, not that of the employee the insured is accused of negligently supervising. We probably have not heard the last of this issue. Particularly with a new make-up of the Court looming (Justice Gableman, who will soon be replaced by Rebecca Dallet, was in the majority), all may not be lost for protecting employers against the financial risk created when their employees intentionally cause bodily injury to (or property damage of) third parties.